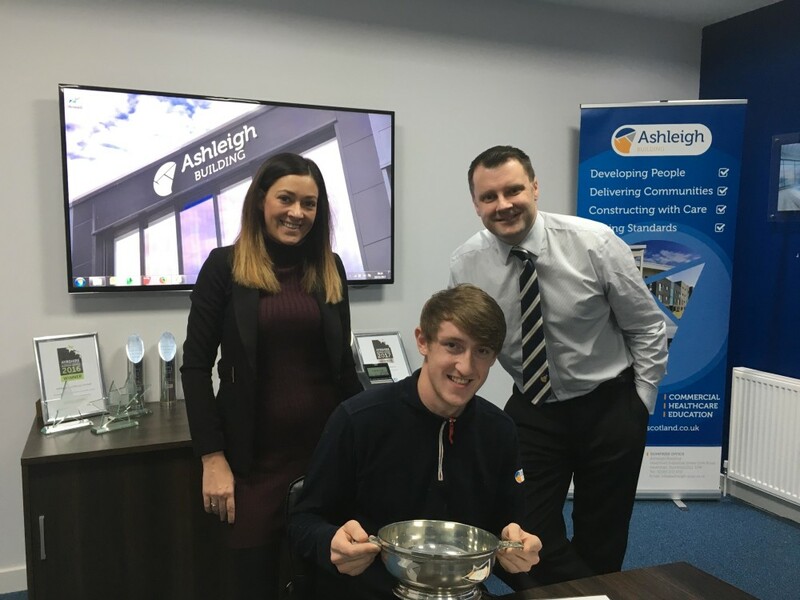 Warm congratulations this morning to our Apprentice of the Year 2017, Darren McIntyre. Darren scored highly in all our marked categories, and was the unanimous selection by all on the scoring panel. We are delighted for Darren, and look forward to seeing his progress within the company. We are convinced his hard work, talent and commitment will ensure a bright future. He can now get on with fixing the ladies toilet door in the office while he’s in!